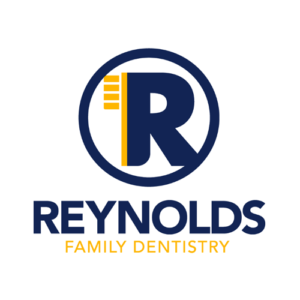 Whether you need a crown, bridge or filling, the team at Reynolds Family Dentistry in Sellersburg, Indiana remains dedicated to restoring and repairing teeth to their original condition. We will work with you to find a solution that meets your needs and lifestyle both in functionality and appearance. Fillings work to repair teeth from interior decay as a result of cavities. Our fillings can be made up of a resin that is colored to fit in with the rest of a patient’s tooth so your teeth remain natural in appearance. Filling procedures can take anywhere from 30 minutes to 2 hours depending on the state of the affected tooth and how many teeth we are removing cavities from and filling. Local numbing gel and shots are used on the affected area prior to putting the filling in, making the procedure painless and recovery easy. After reshaping the existing tooth structure, an impression of the patient’s tooth is taken and used as the base for a more permanent and personalized mold. Crowns can be made up of either metal, porcelain or ceramic material. When a patient is missing one or more teeth, a dental bridge or fixed partial denture can fill any gaps left behind. Bridges are a permanent unit comprised of crowns at both ends and a fabricated section shaped like a tooth in the middle known as a pontic. Additionally, when needed, removable partial dentures and complete dentures offer both restorative and cosmetic benefits in that they support facial muscles and allow a patient to chew and speak naturally. Whether it’s a bridge or a denture, we will work to establish a fit and feel that provides each patient with maximum use and comfort. Contact us today by calling (812) 246-3368 to schedule an appointment. Once the soft area inside of a tooth becomes infected, a root canal is performed to remove the diseased pulp. After the damage from inside the root is cleared, it is then thoroughly cleaned and a filling is put into place to seal up space. A root canal not only relieves pain, but it also saves the tooth from a possible extraction.